Restaurants and eating establishments are everywhere, and it is extremely important that these businesses remain sanitary and do not do anything that would harm their customers. The health codes that govern these establishments dictate that locations must be clean and sanitary, but sometimes, there are problems and the food winds up having an issue of some kind. One of the most frustrating and nauseating occurrences that can happen is finding a foreign object in your food. Of course, if you had found something in your food, you should be aware that you can file a claim against the restaurant for negligence. A foreign object in food lawyer in San Francisco can help you out. Our team of attorneys at Kenmore Law Group has handled numerous liability cases against restaurants that left something in their patron’s dishes, so we know the best methods to winning your deserved compensation. Call our firm to speak with a San Francisco attorney to sue the restaurant for a foreign object in your food. Restaurants must provide safe environments for their customers and they must not serve any potentially harmful food. This includes not having something hard or foreign present in your meal. Legally, the restaurant owes you a duty of care and must avoid hurting you at all costs. If the restaurant breached that duty of care by serving you harmful food and you suffered some kind of physical injury from the meal, you could sue for damages. A foreign object in food lawyer can help you take the necessary steps to receive fair compensation. There are various restaurants that have been sued for violating the duty of care and serving customers tainted food. Some of these restaurants include Burger King, Chipotle, McDonald’s, In-N-Out Burger, Rally’s, Jack in the Box, Panda Express, Chick-Fil-A, Wendy’s, Denny’s, Subway, Domino’s, Pizza Hut, Wingstop, Fatburger, El Pollo Loco, Carl’s Jr, Taco Bell, Kentucky Fried Chicken, Five Guys, and Del Taco. Grocery stores are also listed under food service companies, and they also must provide a duty of care to their customers. They must not sell any food, prepared or unprepared, that has foreign objects in it or something wrong with it. Of course, there are arguments that can be made that the food was contaminated prior to arriving at the store, but this is up to the legal system to decide – not you. Your focus should be on providing evidence and staying healthy. If you found a foreign object in your food that you purchased from any of the following grocery stores, contact a lawyer that’s experienced in foreign object in food cases. It can be horrifying if you found a foreign object in your sandwich or meal. Contact a San Francisco lawyer to sue a restaurant for a foreign object in your food. It’s troubling to suffer damages from eating food, especially if you have bought the meal from an establishment that you trust. You should consider hiring a foreign object in food attorney in San Francisco to be compensated for the injuries you suffered while eating. Bear in mind that you must have suffered some kind of harm; if you were not hurt, you would not be able to file a claim. I found plastic in my food. What do I do? I found a metal in my food. What do I do? What restaurants have been sued for foreign objects? Can I sue the restaurant if I found something in my food? Yes, you can sue the restaurant if you found a foreign object in your taco or any other meal. Can I sue if I don’t speak English? Yes, we can help you file a lawsuit against the restaurant or grocery store if you do not speak English. A lawyer for foreign object in your food who speaks Spanish can walk you through the case and will be willing to give you all the details you need. We believe that all people are entitled to fair representation and legal compensation if a restaurant served them food with foreign objects in it, and we aim to help those who need it. To get in touch with a Spanish speaking attorney for foreign object in your food, call Kenmore Law Group today. Don’t let the restaurant get away with not paying you what you deserve. If you were hurt because of business’s negligence, you should reach out to Kenmore to take legal action. The statute of limitations to file a product liability claim against the responsible restaurant or grocery store is two years from the date of the injury. It is crucial that you act as quickly as possible because of how easy it is for evidence to become corrupted and for witnesses to misremember the situation. If you are not aware of how much time you have to file a claim, reach out to an experienced attorney who will be able to determine the deadline. There are exceptions to the statute, such as whether or not you were fit enough to file a lawsuit or if you were underage. Your representative can determine if you’re eligible for any potential ways for the statute to be temporarily suspended. Kenmore Law Group is a law firm with experience in foreign object in food cases. We can provide you with the representation you need to win your case. We have spent years handling such claims and know the best way to win against such grocery stores and restaurants. It is our goal to ensure that you are properly taken care of in the wake of an injury from contaminated or tainted food. 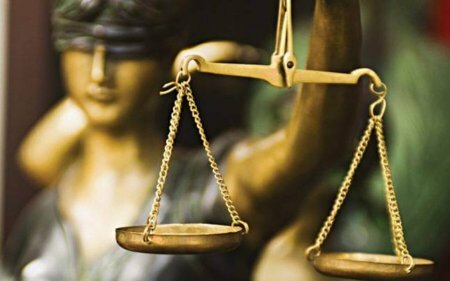 If the insurance agency is resisting paying out your compensation, we will take your case to court and aggressively show how your rights were violated and that you deserve fair treatment. Call our lawyers today to schedule a free legal consultation. You can ask us anything you’d like, and we’ll give you necessary answers. If you’re curious over the legal process or what you need to do to win a claim, don’t hesitate to reach out to us. 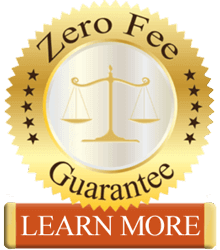 We’ll also give you our zero fee guarantee if you sign up with us, which promises that you’ll never have to pay any out of pocket fees for our help. We won’t get paid unless and until we win, so if we lose, you owe us no money whatsoever. To get started on your foreign object in food lawsuit, give us a call at Kenmore Law Group.